A study of nearly 2.8 million adults spanning 36 years suggests that people with traumatic brain injury (TBI) are more likely to develop dementia than those with no history of TBI. The findings, which were published this week in Lancet Psychiatry, demonstrate the heightened risk of dementia years following a TBI. 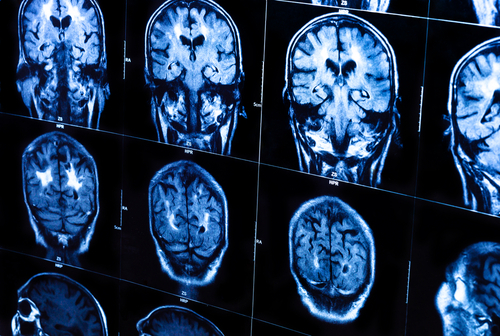 TBI affects 47 million people globally and is a major cause of mortality and disability, yet large-scale studies with long follow-up have been sparse, wrote lead author Jesse Fann, M.D., M.P.H., a professor of psychiatry and behavioral sciences at the University of Washington School of Medicine, and colleagues. The researchers used the Danish Civil Registration System to track a cohort of 2,794,852 people aged 50 and older. Of this group, 132,093 individuals (4.7%) had at least one TBI diagnosis between 1977 and 2013, and 126,734 (4.5%) developed dementia between 1999 and 2013. Fann and colleagues found that the risk of dementia in people with a history of TBI was higher than in those without a history of TBI (hazard ratio[HR]=1.24), as was the specific risk of Alzheimer's disease (HR=1.16). The risk of dementia was highest during the first 6 months after TBI (HR=4.06), after which it gradually decreased (HR=1.17 at more than 14 years since TBI). The risk of dementia also increased consistently with increasing number of TBIs.